Remember those pinto beans that I cooked a while back? I still had some leftovers, and I needed to find something to do with them. 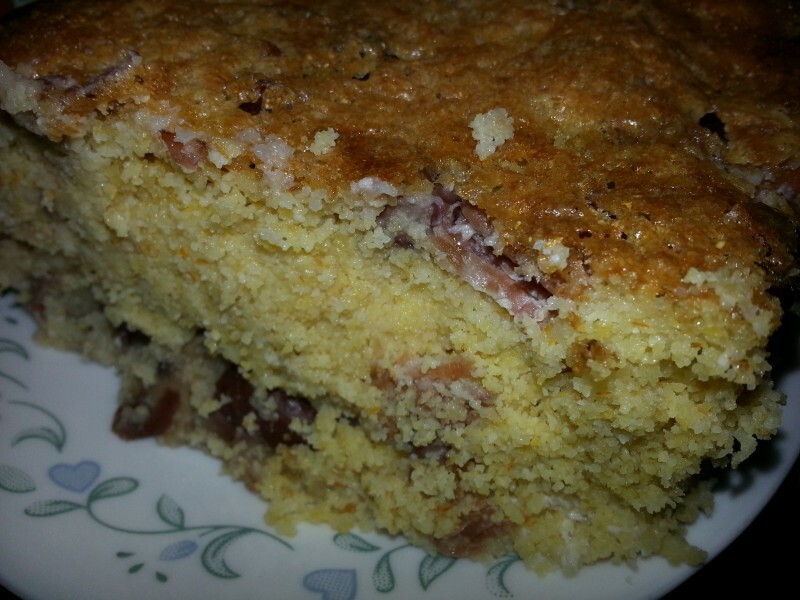 Beans and cornbread are a great combination, and this recipe for corn pone is a combination of beans covered by a layer of what is best described as a corn bread souffle. The recipe indicates that you should use a 9X13 inch pan, and I will strongly suggest that you don’t attempt to make this dish in anything smaller. I don’t have any attractive 9X13 inch pans, so I poured everything into an 8X12 inch pan. The corn pone spilled over in the oven and made quite a mess, but in spite of this, the end product was still delicious. Another important point is that the beans should be heated to boiling before pouring them into the greased pan. This allows the batter to begin cooking from the bottom as soon as it is poured on top of the beans. The end result is a delicious dish that reminds me of beans and spoon bread. The difference is that this dish is prepared in one pan. Here’s the printable recipe. Give it a try and let us know what you think. Beans and corn bread are a classic combination. 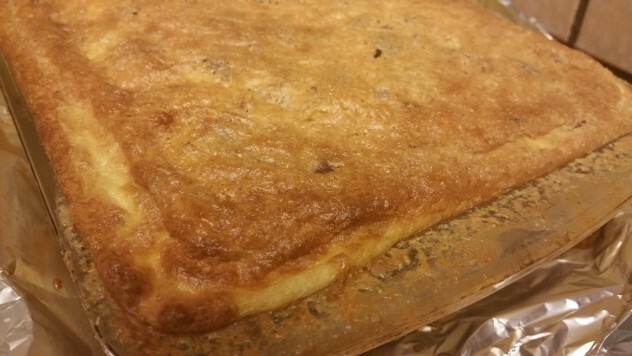 This dish combines the best of both with a layer of beans topped with a corn bread souffle. The dish works best if the beans are heated before pouring them into the baking dish. Total Cost of recipe is $3.39 or $0.43 cents per serving. Reheat beans on stove to boiling. While bean are heating, mix together cornmeal, baking soda, and salt in one bowl. In another bowl combine melted butter, buttermilk, and eggs and mix well. Add buttermilk mixture to dry ingredients and mix well. 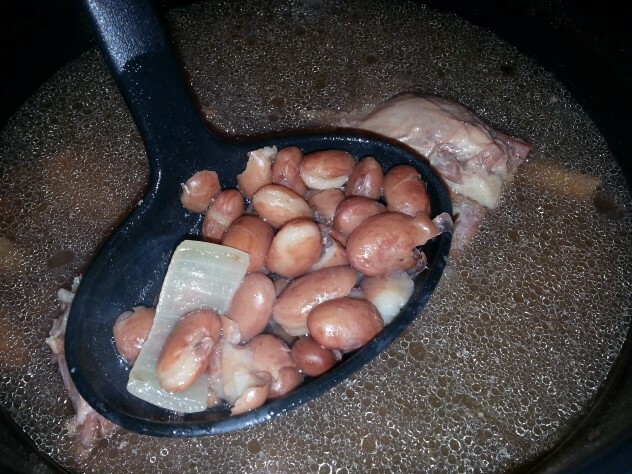 Pour piping hot beans into a greased 9X13 inch baking pan. Top beans with corn bread batter. Place pan into a 450 degree oven and bake for 30 minutes or until the cornbread starts to pull away from the sides of the pan. Nutrition Information is for 1/8 of the total recipe. This looks wonderful! 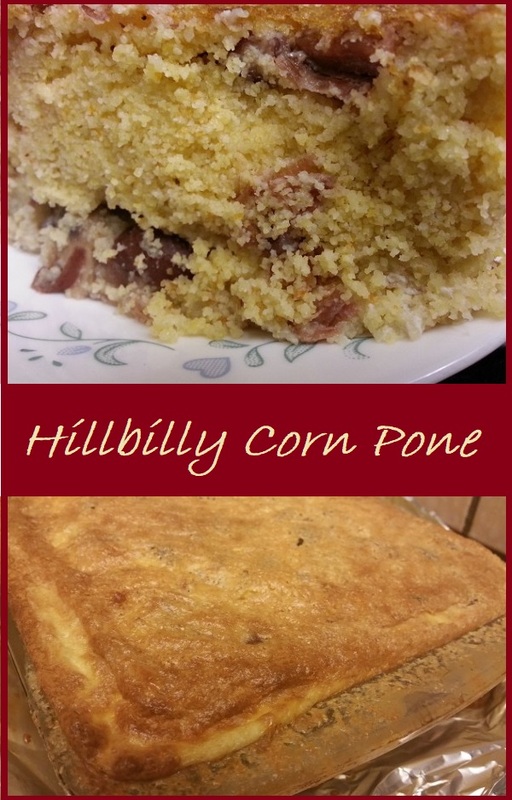 It makes me think if the cornbread pones my mother and grandmother used to make. 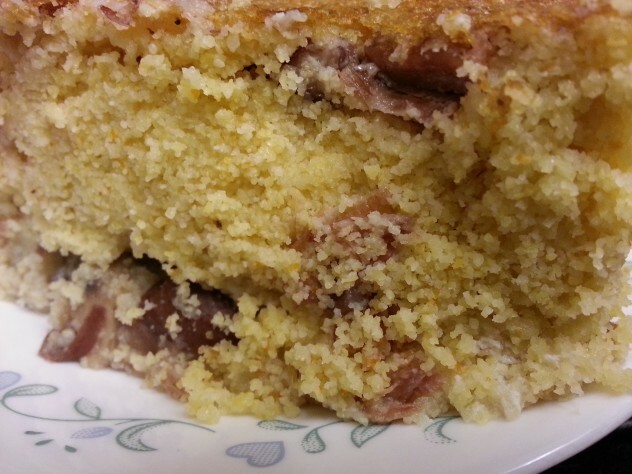 They always made extra pones of cornbread for a pot of peas or beans. I wonder how this would be in my stoneware slow cooker. Thoughts? It would probably work, but just make sure that the beans are boiling hot before you add the batter. I cooked it in a very hot oven, so I would turn the cooker up to high. If you try it, let me know how it comes out.